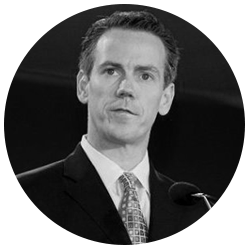 Prior to starting WPA Intelligence in 2004, Chris was Global Director of Research for Weber Shandwick International, the world’s largest public relations firm at the time. While at Weber Shandwick, Chris led research for Fortune 500 companies such as Coca-Cola, American Airlines, Kodak, Wells Fargo, and Boeing. During the 2018 cycle, WPAi provided analytics and polling for key races at the state and federal level around the country. WPA data propelled winning campaigns such as Ted Cruz and Greg Abbott in Texas, Governor-elect Brian Kemp in Georgia, Governor-elect Ron Desantis in Florida, Governor-elect Kevin Stitt in Oklahoma, Senator-elect Kevin Cramer in North Dakota as well as dozens of Members of Congress and down ballot races. WPA is also proud to have assisted campaigns that came up short such as Martha McSally in Arizona, Adam Laxalt and Dean Heller in Nevada, and Matt Rosendale for Senate in Montana. WPAi also works with organizations like the Club for Growth, the Republican National Committee, the National Republican Senatorial Committee and the National Republican Congressional Committee providing data and polling. For the fifth consecutive cycle, WPAi clients outperformed the partisan average in both their primary and general election contests by double digits. An Oklahoma native, Chris is a graduate of University of Oklahoma and Georgetown and remains an avid Sooner fan. In the rare instances that Chris isn’t working, he enjoys watching OU football and Thunder basketball, spending time with his sons, Denver and Carson, reading, and racking up impressive amounts of frequent flyer miles. He is a regular political analyst on both Fox News and MSNBC. Chris Wilson joins Chris Stirewalt to discuss how analyzing voter online preferences enhances campaign outreach and messaging. WPAi CEO Chris Wilson joins Fox & Friends to discuss the reliability of President Trump's job approval rating.